Remaining area of ​​Atlantic Forest. 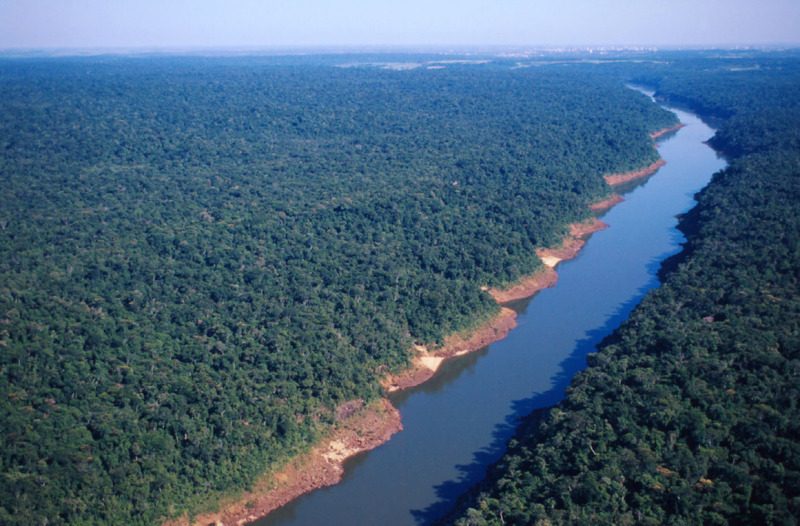 The project plans to map and diagnose the situation of 350 private protected areas located in seven Brazilian states. WWF-Brazil is mapping the situation of Private Protected Areas within the geographical scope of the Atlantic Forest Program. In the first phase of the project, more than 350 protected areas in private land will be analyzed in seven Brazilian states (MS, PR, SC, RS, SP, RJ and MG), corresponding to more than 938 million m² protected. The second stage will continue in Atlantic Forest remnants in Argentina and Paraguay. Private reserves (RPPN) are a sign of voluntary commitment by the private owner with nature conservation. The Private Protected Area category, in Brazil, is a category recognized by the National System of Conservation Units. Once the Private Protected Area is created, its status is perpetual. They are a priority in public agenda and civil society organizations, so much is that on January 31 is celebrated the National Day of Private Protected Areas. To celebrate the National Day of Private Protected Areas, four new private reserves in the municipalities of Indaiatuba, Pindamonhangaba, Socorro and São José do Barreiro, all in São Paulo state, Atlantic Forest biome, will be announced in the coming days. With this, the state of São Paulo will reach 51 private reserves recognized by the State Government. One of the main problems faced in the Private Protected Areas identified so far in the research WWF-Brazil is carrying on is the predatory hunting of wildlife, which directly damage local biodiversity and threatens species such as jaguars (Panthera onca), Collared peccaries (Pecari tajacu) and tapirs (Tapirus terrestris). The other major threats are the illegal extraction of palm hearts and intentional fires. According to Felipe Feliciani, conservation analyst at WWF-Brazil, hunting wild fauna is a crime by law. "In addition to being a criminal, this activity unbalances the local ecosystem and is one of the main facts that lead species to extinction in Brazil," says Feliciani. The objective of this study is to show the areas in which these private protected areas are located, what are the management improvement opportunities and the main agents of degradation. "The results of the study will serve as a basis for WWF-Brazil's future actions to support Private Protected Areas initiatives," says Feliciani. The first phase of the study will be completed in the first half of this year. In the Atlantic Forest Biome, there are 70% of the Brazilian GDP and more than 120 million people, which is equivalent to 75% of the Brazilian population. Rivers and lakes of the Atlantic Forest provide fresh water for this population. In addition, the biome is home to one of the richest biodiversity in the world with more than 20,000 species, including 8,000 endemic species, which represents one of the highest rates of endemism in the world. Despite the high relevance to the economy, quality of life and water supply for a large part of the Brazilian population, the biome is extremely fragmented. This reinforces the importance of the project developed by WWF-Brazil to improve the practices of management of private reserves. In addition to preserving the landscapes and historical environments, private reserves assume objectives of protection of water resources, management of natural resources, development of scientific research, maintenance of the ecological balance among several other functions. Private Protected Areas has an important mission of protecting natural resources, developing scientific research, promoting maintenance and ecological climate balance, and encouraging sustainable ecotourism.